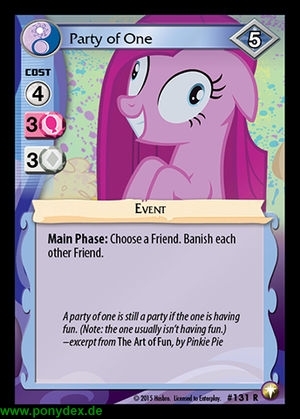 Main Phase: Choose a Friend. Banish each other Friend. A party of one is still a party if the one is having fun. (Note: The one usually isn't having fun.